What's makes an Arizona Divorce Lawyer Different? Are we able to operate in the heat better? Do we need less water? Maybe we tan, and don’t burn. Or is it more about the state laws; the Arizona Revised Statutes. The framers of the Tenth Amendment to our Constitution wrote about the separation of powers between the federal and state governments. This limits the power of the federal government to those things only covered in the Constitution. What does this have to do with an Arizona Divorce Lawyer? Well…I’m getting there, albeit slowly. The framers don’t mention family law in the Constitution. They wanted family law, to be written and enforced locally. That means we get to decide what our own concerns are, as Arizonans, on how to handle a dissolution. First of all, we the people of Arizona, through our elected representatives, decided that Arizona was to be a ‘no-fault’ state. Almost all of the states have gone to this model, to alleviate court proceedings that were clogging up the system for years and in hopes to remove some heated emotion. In Arizona, we’re a community property state. This means, that the presumption is that if that the property was acquired during the marriage, it belongs to the marital community. There are only nine community property states in the United States. Arizona is not a common law marriage state. If you live with someone in this state, for one year, or a hundred years, you are not considered married in Arizona. 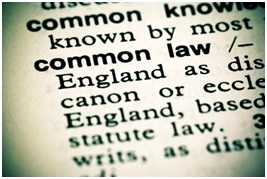 In fact, there are only nine states left, that recognize common law marriages. That being said, if you were living in one of those states, with someone for the period of time that agrees with the common law statutes of that state, Arizona will legally recognize that common law marriage. 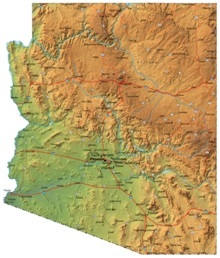 Arizona is a state where you can have a covenant marriage. A covenant marriage is a marriage where there’s pre-marital counseling and grounds for divorce are limited. No-fault divorce, is not allowed under the rules of a covenant marriage. 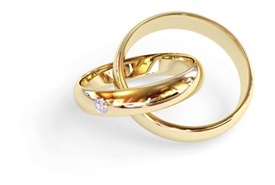 Only three states in the country allow covenant marriages. So, back to the original question, what makes an Arizona divorce lawyer different? We have to know all of these things and many more, including the more recent provisions of the Arizona Revised Statutes that require the Court to try and get both parents more involved in the rearing of a child, if there is a dispute surrounding a minor child. This became more apparent with the revisions in the statute in 2013. An Arizona divorce lawyer will know all the local statutes, rules and case law that are important for your case. If you want a professional, experienced, Arizona divorce lawyer, call Enholm Law at (602) 889-6273.